Be still, our hearts! 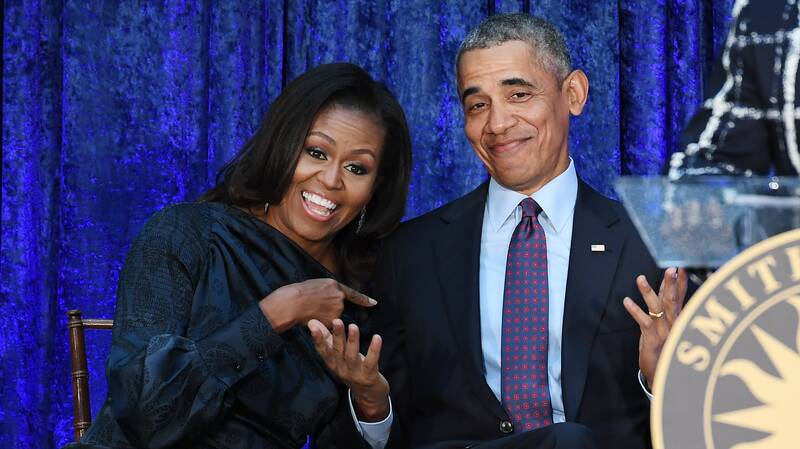 Former FLOTUS and POTUS Michelle and Barack Obama are famous for causing a serious case of relationship envy, and Michelle’s most recent post to her presidential husband proves no different. To celebrate their love, she shared a never-before-seen snapshot from their wedding day — along with a caption that truly embodies #MarriageGoals. In the photo, taken in Chicago in 1992, Barack can be seen sliding his new wife’s garter belt down her thigh. It’s an intimate peek into the past the public hasn’t seen until now and, as such, the photo on its own is tender and moving. However, it’s the words Michelle attaches to the photo that truly speak to the strength of the couple’s longtime union. “You can’t tell it from this photo, but Barack woke up on our wedding day in October, 1992 with a nasty head cold. Somehow, by the time I met him at the altar, it had miraculously disappeared and we ended up dancing almost all night,” the former FLOTUS revealed in the caption. There are a few important points to make here. Like, for example, the fact that the Obamas must be toting around a secret anti-aging serum — they look nearly the same now as they did on their wedding day. But, more poignantly, it’s beautiful to see a couple so committed to one another and honest about the realities of marriage. Yes, it’s fun and wild and exciting. It’s also difficult and requires “doing the hard work,” as Michelle put it. As evidenced by the Obamas, fairytale romances do exist — however, they’re made possible not by magic but by the effort put in behind the scenes. And, if you ask us, that’s the real magic. After all, the Obamas must be doing something right. More than two decades, two beautiful daughters, and two terms in the White House later, and they’re still going strong. That solid foundation will undoubtedly also carry them through two huge new developments: a record-breaking book deal with Penguin Random House, estimated in excess of $60 million, and a production deal with Netflix to produce series and movies for the streaming giant.